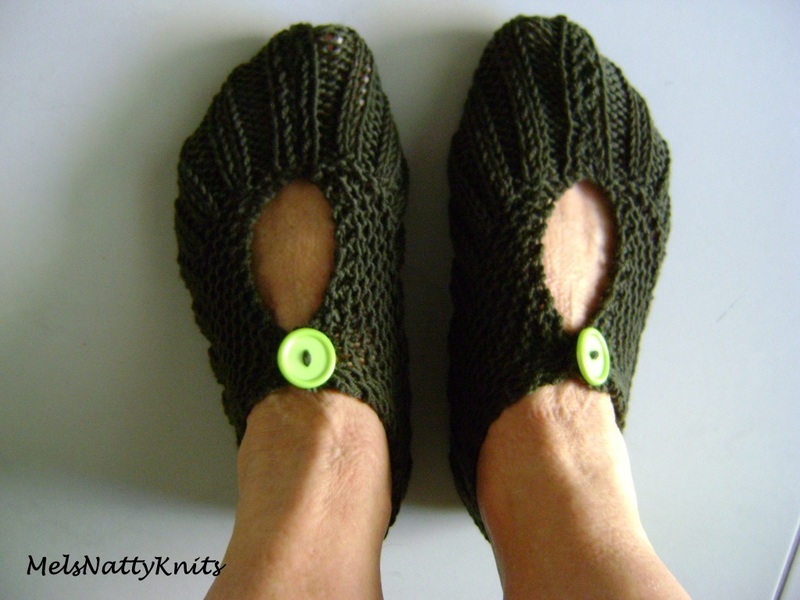 After receiving a copy of Alison Howard’s latest book Knitted and Crocheted Slippers, I was keen to start making some. 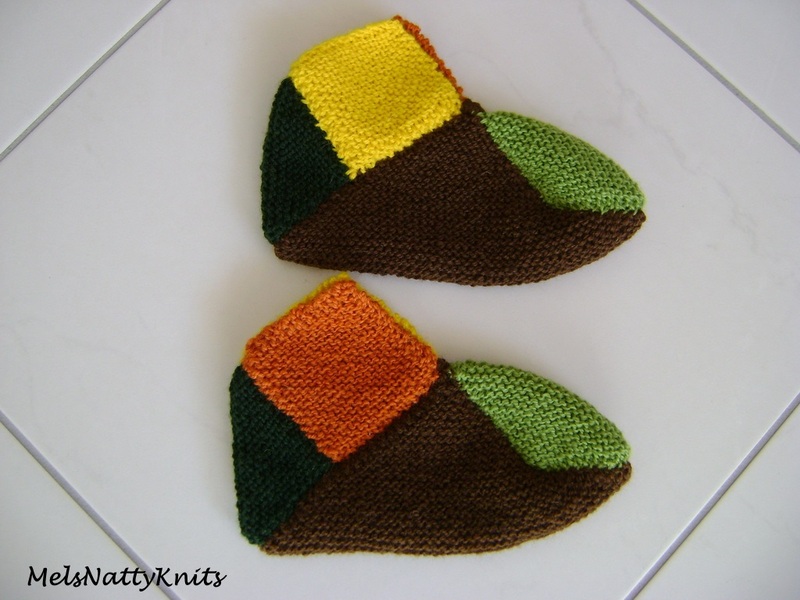 This cute little pair made from simple knitted squares caught my eye. In fact it’s called Simple Squares. 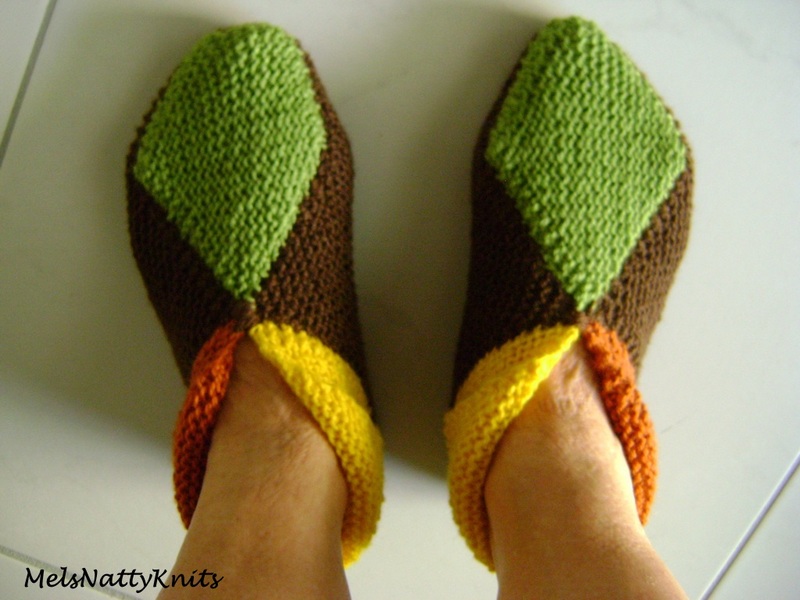 Each slipper consists of five squares. 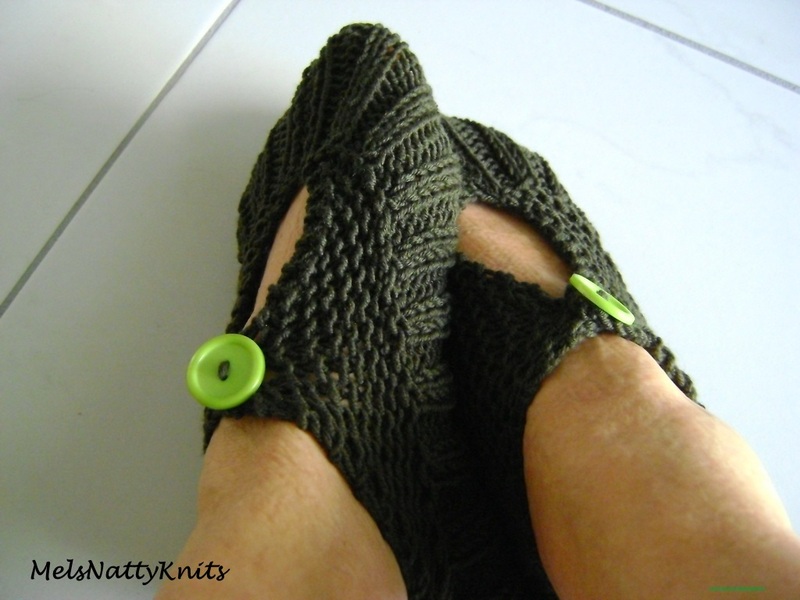 The secret is to make sure the maximum number of stitches is correct for your foot size. Alison provides guidelines for this however as the yarn I used would normally be used with larger needles I had to increase the number of stitches for the larger square. The yarn I used is from a huge stash of Ashford Tekapo 8ply that I bought on Ebay a couple of years ago for just over $1 each!! Yes, that’s right; how cheap is that. An online store was getting rid of their last balls so I managed to get some great bargains. I used 3.5mm needles. Don’t they look cute when they’re not on a foot! 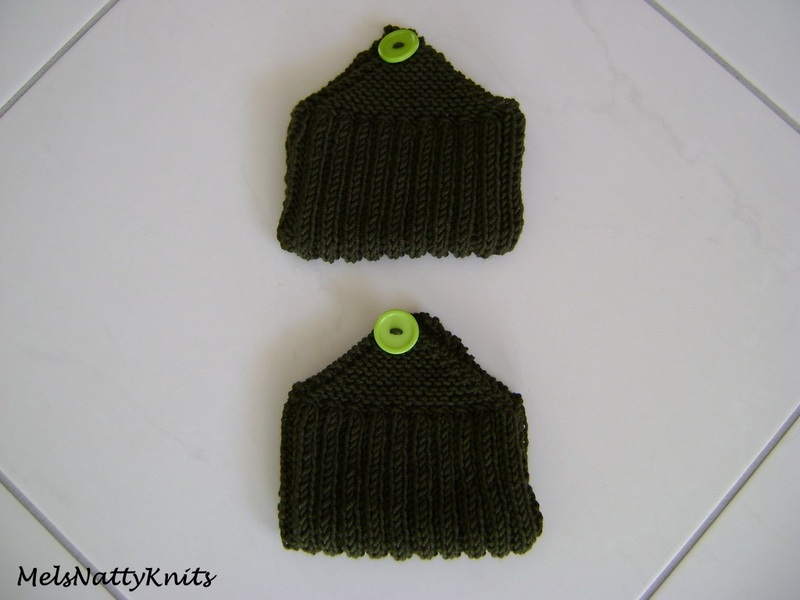 They do stretch quite a bit I might add as only garter stitch is used. My foot size is an Australian 9. 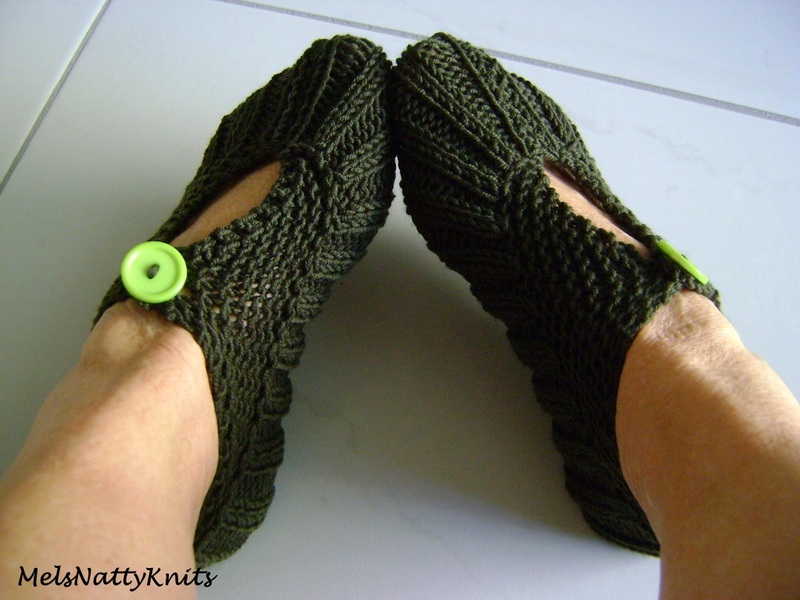 The second pair I made is called Aran Anklet. 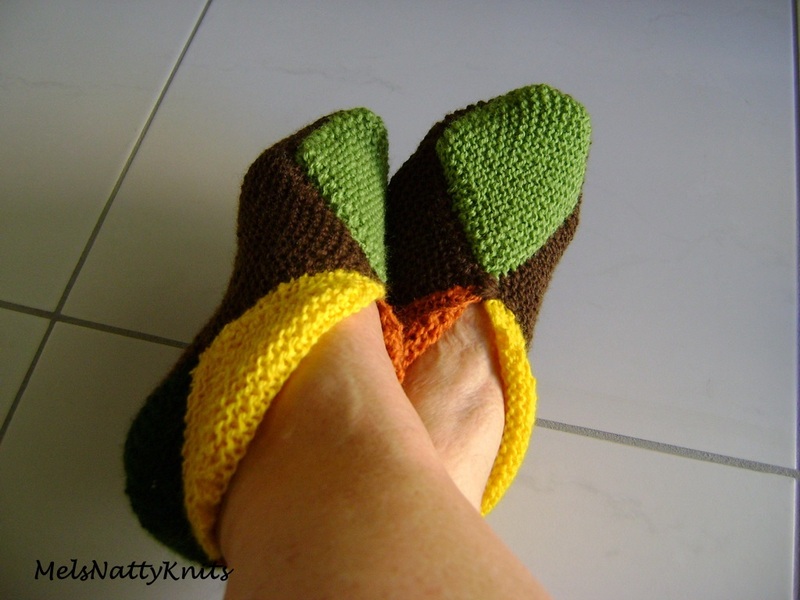 What I love about these slippers is they’re perfect to slip into your bag and take anywhere if you need to take off your shoes and don’t want bare feet. Perfect for travelling. Plus the yarn I used is simply soft and luscious. It’s Lana Gatto Super Soft which is a 10ply / worsted 100% merino wool. And if you’re wondering what all those wrinkly bits on my feet are…well I’d just taken off my boots and socks to take these photos and realised the socks left their impression on my skin! You’d never guess this was a pair of socks would you? So far so good. 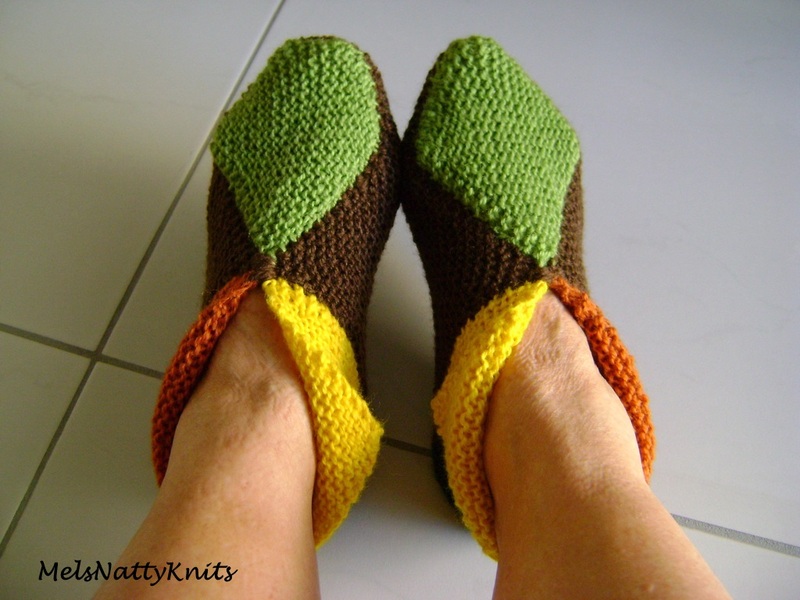 I am quite impressed with these slippers and will make a few more from the book and show them to you in due course. 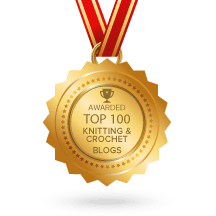 Have I tempted you to buy this book and tackle some of these very easy patterns?